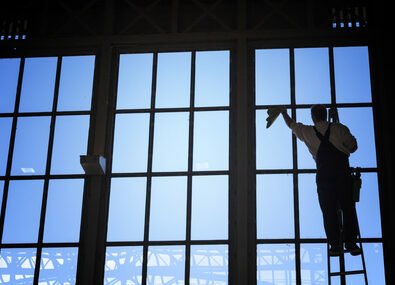 Our Domestic Window Cleaning service consists of the removal of dirt from windows and frames. This can be achieved by using two methods, traditional and ladder-less. 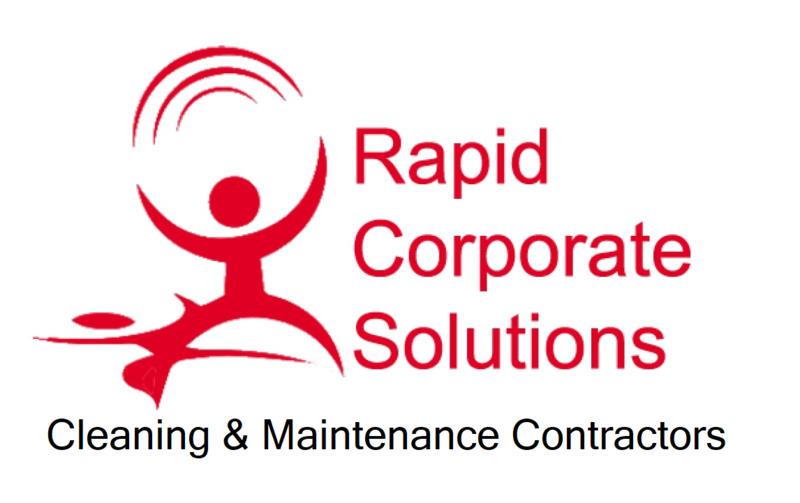 Your windows will be left pristine and sparkling once RCS have been to clean them! The ladder-less window cleaning is a reach-and-wash pole system using de-ionised water which is filtered to stop smearing; this is used for hard to reach areas or areas which are difficult or dangerous to access via ladder. The water is pumped through a pole onto the window and using a synthetic brush it cleans away dirt on both the window surface and frame. Once rinsed, the windows and frames are left sparking clean! The whole process is fast, safe and effective; consistently leaving great results! Traditional window cleaning is a good old fashioned service which still proves to be an effective way to clean certain buildings. 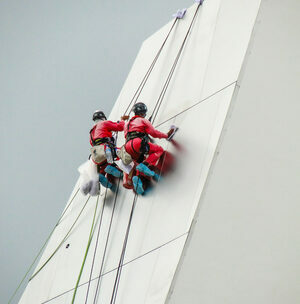 This service consists of a window cleaners mop and squeegee using a detergent and ladders to access the building. Fascia cleaning is important when gaining a smart, appealing look for your home and outbuildings. 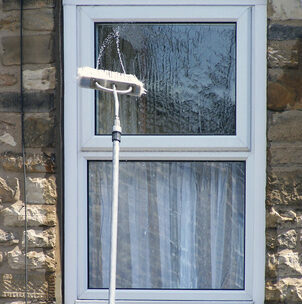 We use a water fed pole system to clean all soffits and fascia’s efficiently. The de-ionised water from the system used dissolves the dirt and algae, so there is no need for the use of harmful detergents. Using de-ionised water ensures there is no damage to near by plants, gardens, vehicles or properties.